Distinguished International Hotels, Residences and Resorts is pleased to announce the appointment of Mrs. Hülya Aslantas as Director of Development, Turkey. A pioneer in her field and highly respected within the international travel industry, Mrs. Aslantas will be bringing her 40 years of expertise to further enhance the Distinguished portfolio with luxury boutique hotels from Turkey. Based out of Istanbul, Mrs. Aslantas is the Owner and General Manager of Universal Travel Services which has been serving special interest groups and MICE since 1984. She is the immediate past World President of Skal International (2008-2009), only the third woman in 75 years to hold this position of Skal President and the first President ever appointed from Turkey. From 2000 to 2004, she was the Vice-President of Tursab (Association of Turkish Travel Agencies). 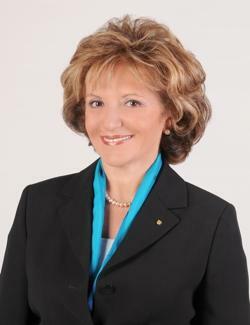 Since 1995 she is also the Managing Director of Global Blue- Turkey, the leading VAT refund operator worldwide providing Tax refund to tourists as well as publishing City maps and shopping guides that are offered customized and free to all hotels, and has the largest distribution network among similar guides. ‘I am truly looking forward to introducing some members from the Turkish hospitality Industry to the exquisite Distinguished® worldwide collection », explains Hülya Aslantas. « There are close to 1 million beds overall spread throughout the various regions and most of them have been built in the past 20 years. Boutique and specialty hotels are especially getting popular, » continues Mrs. Aslantas, « and there are some great properties located all over the Country’. For several years now, Turkey has been ranked among the world’s top 10 destinations both in number of business and leisure visitors with over 25 million tourists per year and in tourism revenues, topping $21.2 billion USD in 2009. Traditionally known for its important historical sites throughout the country and its seaside resorts along the Aegean and Mediterranean coasts, Turkey has become an increasingly popular destination in recent years for its culture, spas and health centres. Its capital, Istanbul, is one of the most important cities in the world, reflecting its rich and huge historical heritage as the capital to both the Ottoman and Byzantine Empires. In contrast to its historical status, it has beautifully and elegantly modernized its facilities and boasts the largest mall in Europe and the seventh largest in the world in addition to several others bringing together local and world’s most important fashion brands. As such Istanbul is fast becoming a popular shopping destination. ‘The growth within the hospitality industry in Turkey has been exponential over the past decade», Paul Follows, Director of European Development for Distinguished®. «I have known Mrs. Aslantas for many years and have worked closely with her through Skal International, she is by far one of the most influential and respected travel professionals in Europe. It is an honour to have her join our team’. ‘The Distinguished® guest is cultured, sophisticated and well travelled», adds Bill Burruss, President of Distinguished® Hotels. «There is no doubt in my mind that Turkey will be a key destination’.